As we strap into another morning on the I Can’t Believe This Is Happening Express (a rickety bobsled careening into an icy gorge), it’s time for three more Senate confirmation hearings for appointees to Donald Trump’s cabinet. One of them has yet to complete his ethics and financial disclosures, but that’s just how we’re doing things now! On Thursday, Senate committees will consider Ben Carson, tapped to lead Housing and Urban Development although he knows not much about either, and who has yet to complete that pesky ethics paperwork allowing him to actually do the job he’s been tapped for. Also today: Mike Pompeo, who will have to explain how he plans to run the CIA in an administration that’s demonstrated open hostility to the intelligence community, and retired general James N. Mattis, Trump’s pick for defense secretary, who we highly suspect was selected not because he’s relatively well-respected, but because his nickname is “Mad Dog” and Trump thought that sounded cool. Join us as we continue liveblogging every stage of our grief, won’t you? You can watch the Mattis hearing live here starting at 9:30 a.m EST. 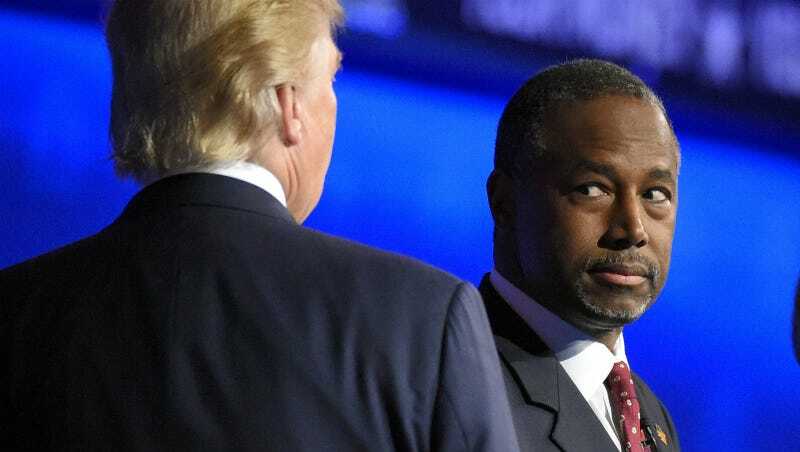 Carson begins at 10 a.m., and a livestream is here. Pompeo is also at 10, here. And recap yesterday’s fun here, as well as day one of Senator Jeff Sessions’ hearings here.